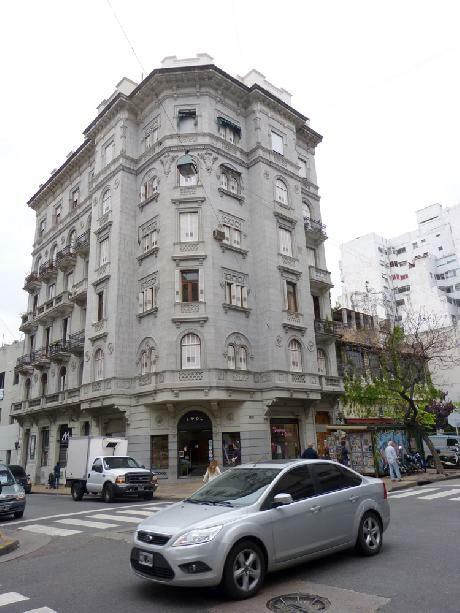 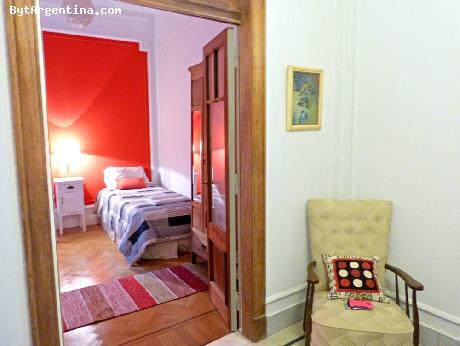 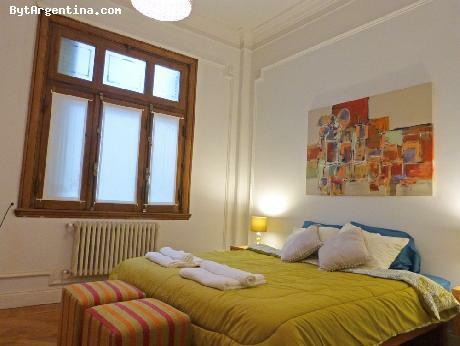 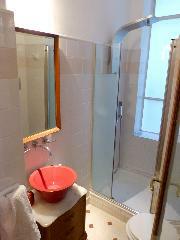 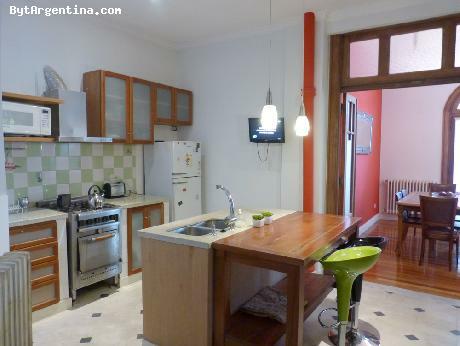 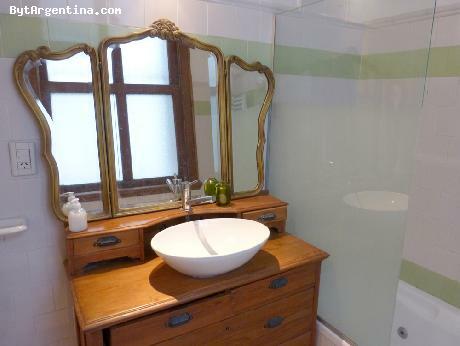 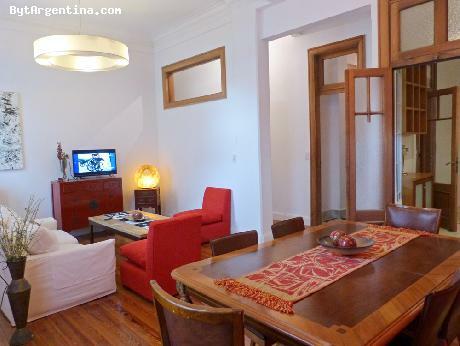 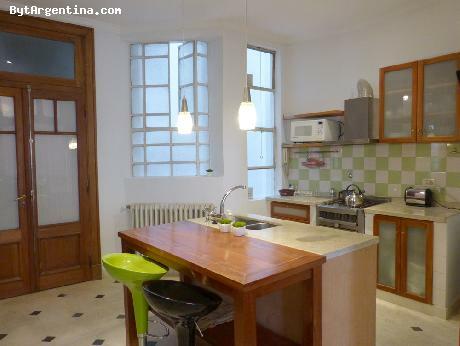 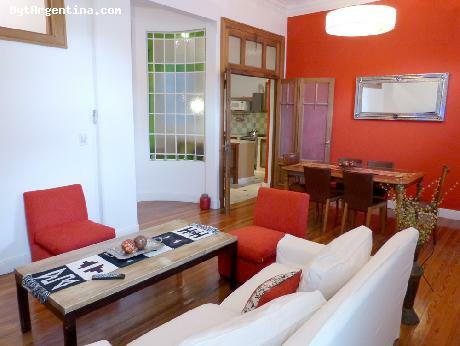 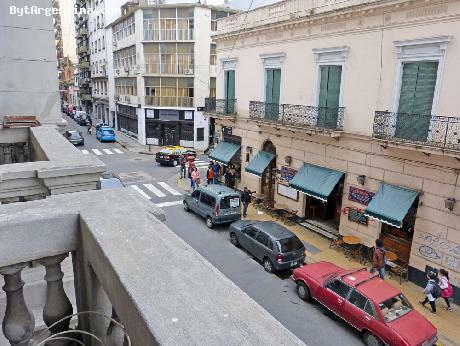 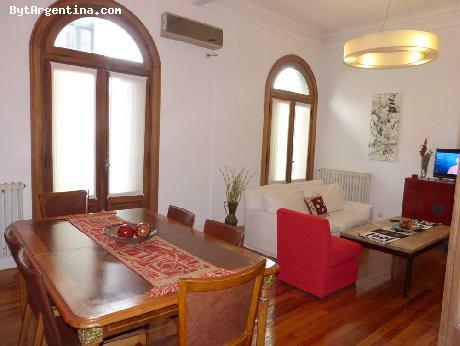 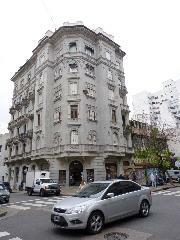 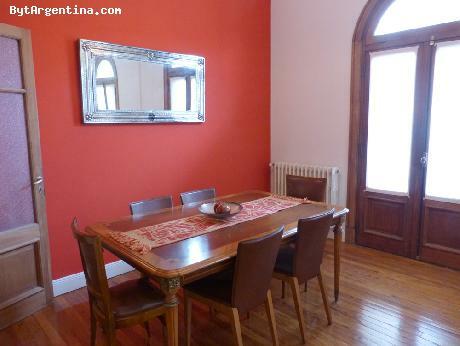 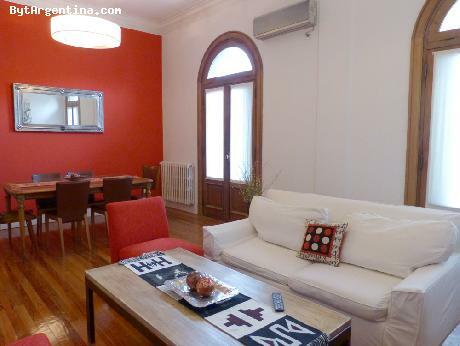 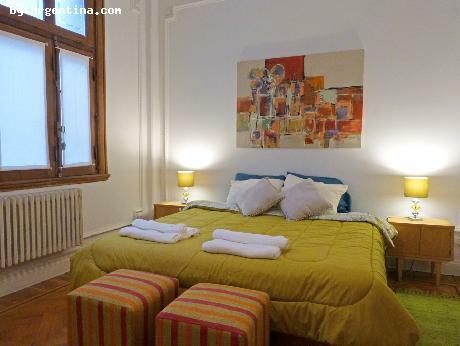 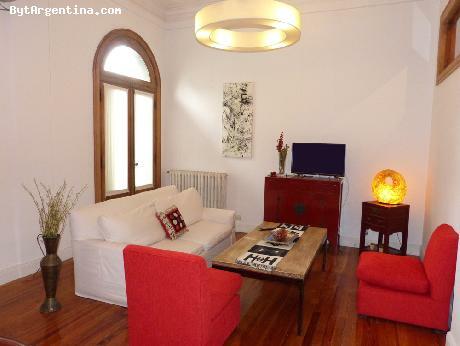 Spectacular three-bedroom apartment greatly located, in the Historical area of San Telmo, just two blocks away from the famous Dorrego Square (where every Sunday visitors can visit the antique market with tango dancers on the streets). 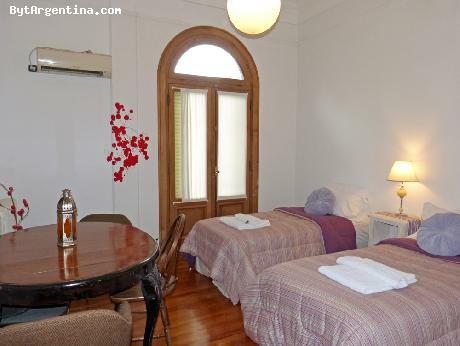 The apartment has an ample living-dining room with a sofa, armchairs and a table for six people, the master bedroom with a king size bed, two bedrooms with two twin beds each, a beautiful equipped kitchen and two full bathrooms (one of them with jacuzzi-tub, and the second one with shower). 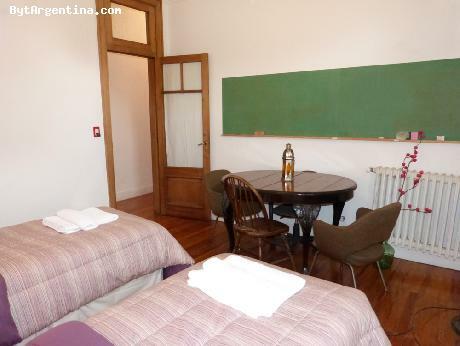 The apartment was recently remodelled and it is equipped with Internet (WiFi), cable TV, air conditioning in living and bedroom 2, central heating, refrigerator with freezer, microwave, dishes, kitchenware, linens and towels. 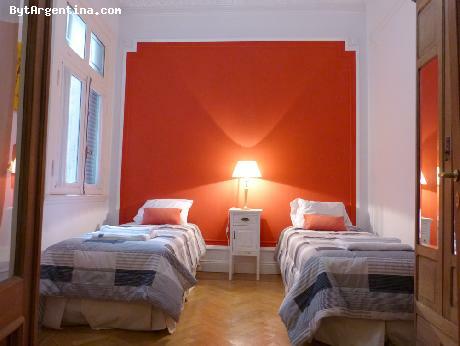 A great option, very comfortable in a nice historical building.